The back-to-school ritual combined with the Jewish high holidays has my neighbourhood a buzz with activity. It’s crazy busy in the shops and on the roads — thanks in part to the ongoing construction and closure of many side streets where I live. For students and teachers, fall represents the opportunity to start a new year. It’s also a great time for parents and gardeners alike to start new projects as the cooler weather and return to routine provide the perfect conditions. Now if only I could just get back to work cleaning up my garden and doing some major transplanting! 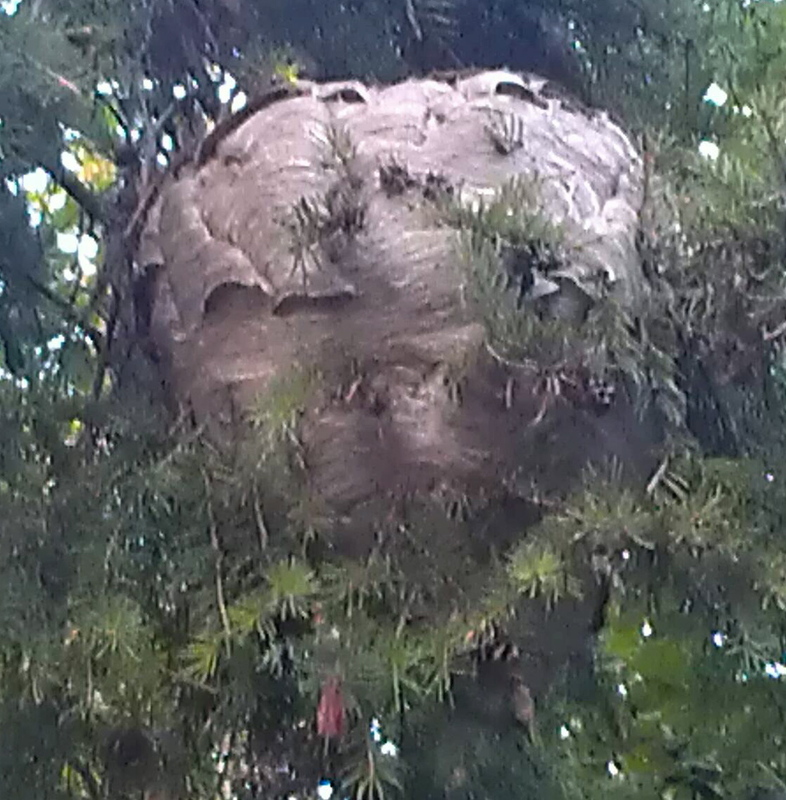 Our newest garden residents were as busy as bees during one of the heat spells as few weeks back, when we were staying cool indoors, and quickly build a large hornets nest before we knew it. As a result, these uninvited visitors have us tiptoeing around the backyard and generally keeping a low profile. We looked up our unwanted guests who were easily recognized by their black-and-white colouring and discovered they’re the dreaded Bald-Faced Hornet. They’re called hornets but are actually considered wasps. Whatever their name is you don’t want to get too close, as they’re known to be aggressive if disturbed. After a bit of study, I discovered they don’t have a barbed stinger like bees do and thus can sting you repeatedly – so it’s best to remain on good terms. And certainly no greetings with a stick! Don’t try to kill even one of them. They’ll know and you’ll be sorry. According to various sources, they will die off come winter but who wants to wait until then to do some yard work? Oh well, I guess my efforts to get down to business have been thwarted once again.